No need to spend a zillion dollars on Christmas decorations, people. Head to your local thrift store! Mine has bales of cast-offs at a fraction of the price. The digging for treasure is half the fun. 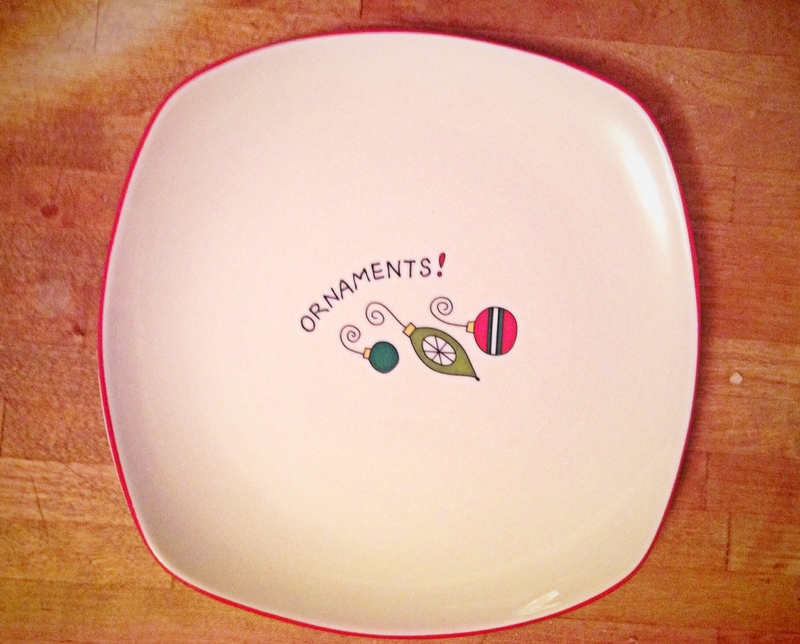 Yesterday, I got a wreath made of gold jingle bells for $2, a set of 12 days of Christmas ornaments for $3 (even though they seem to be long on 5 golden rings and short on some of the higher numbers) and my favorite, this Fitz & Floyd cookie plate for 95 cents. Look out. It may be headed your way, piled with brownies. I know this is more work for you but I’m intrigued. If there are multiples of particular days of Christmas do they correspond to how many times one would sing that verse if you ran through the song in order?